LEICA d-LUX 6 raw support/ possibly exactly the same as panasonic lx7 raw. Added by grigorios skaltsas over 4 years ago. Updated over 4 years ago. 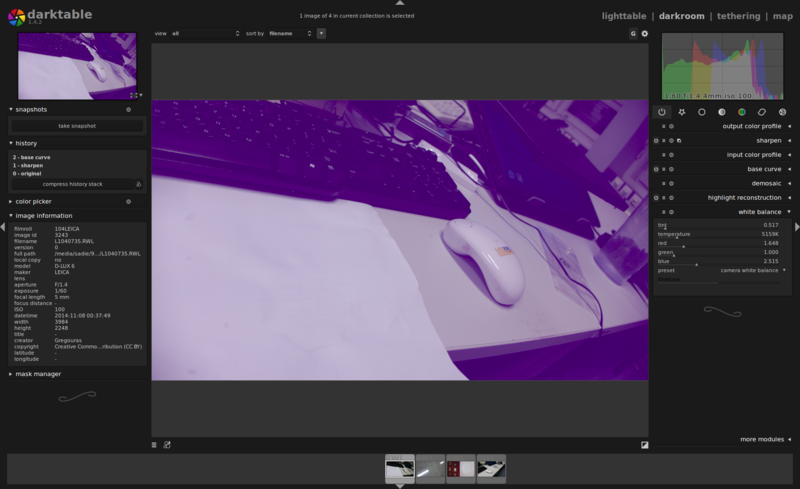 I get a purple-ish tint that makes the file impossible to work with. "file a camera support request in our Redmine (including RWL samples for all aspect ratio modes, and optionally a RWL per white balance preset as well)"
but they will delete them on 18/10/2014, so I hope someone will download them before that date! It seems the D-LUX 6 is indeed just a pimped LX7. So this will be available in our upcoming release candidate (1.5.1) of our next major release (1.6.0).